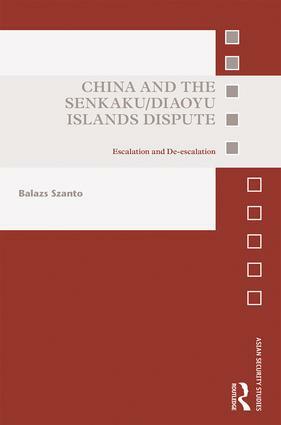 This book examines the Senkaku/Diaoyu Islands dispute from a foreign policy perspective, focusing on three key stakeholders: China, Japan and the United States. The Senkaku/Diaoyu Islands dispute is a prominent territorial dispute between China and Japan. This book critically assesses that dispute in a pragmatic, policy-oriented manner. The central question of the work focuses on the various military (direct invasion, coercion) and non-military (bilateral negotiations, binding and non-binding third-party options and delaying) foreign policy avenues available to China to pursue its key interests over the disputed islands. To compare and contrast these different options, the book employs a qualitative rational-choice framework. This allows for a critical analysis on the merits and demerits of various options and to anticipate China’s potential course of action based on the principle that China is expected to act in a rational manner. This research offers two main contributions. First, it adopts a security-focused approach to complement the economic-focused works on the subject. Second, it critically examines the various foreign policy options as opposed to offering an avenue based on purely theoretical assumptions. While the work concludes that a delaying/status quo approach is rational for all parties involved, it highlights alternative policy avenues that can build on the conclusion of the rational-choice analysis. Through this it seeks to address the possibility of escalation and de-escalation on the East China Sea and highlights the critical role pro-active foreign policy making plays in averting a negative outcome of the dispute. This book will be of much interest to students of Chinese Foreign Policy, Asian Politics, Security Studies and International Relations. Balazs Szanto has a PhD in International and Strategic Studies from The University of Malaya, Kuala Lumpur.